Lemon Dill Soup — Ginger writes. 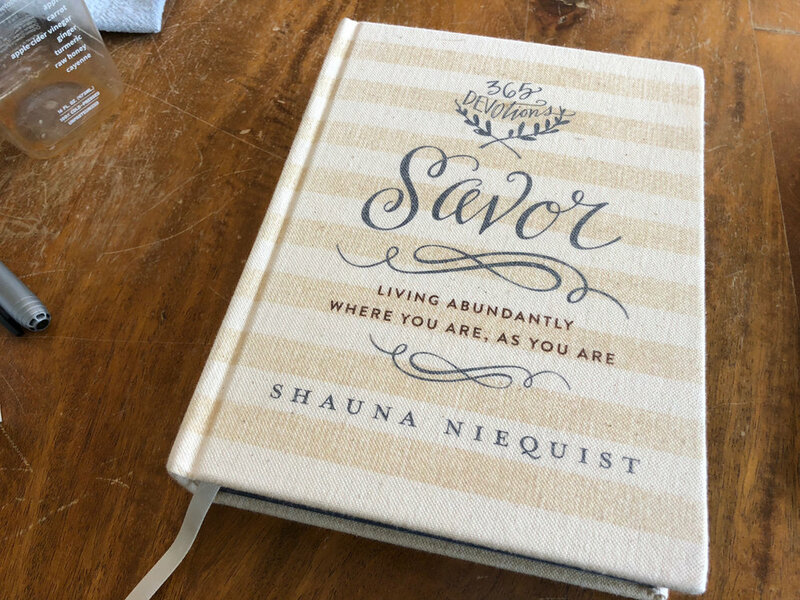 For 2018, I am reading Savor, the devotional by Shauna Niequist. I tried to read it a few years ago, but gave up halfway through. I can see now that this year is the year I was supposed to read it. Unexplainably, it just feels like the words in the book are the right words for my life now, and the recipes scattered among the readings are a neat little bonus. Roasted kale, a veggie tray, and maybe very lightly steamed green beans if you have four extra minutes, are all the veggies you need with soup and the bread. The only fruit you need is grapes in the form of wine. 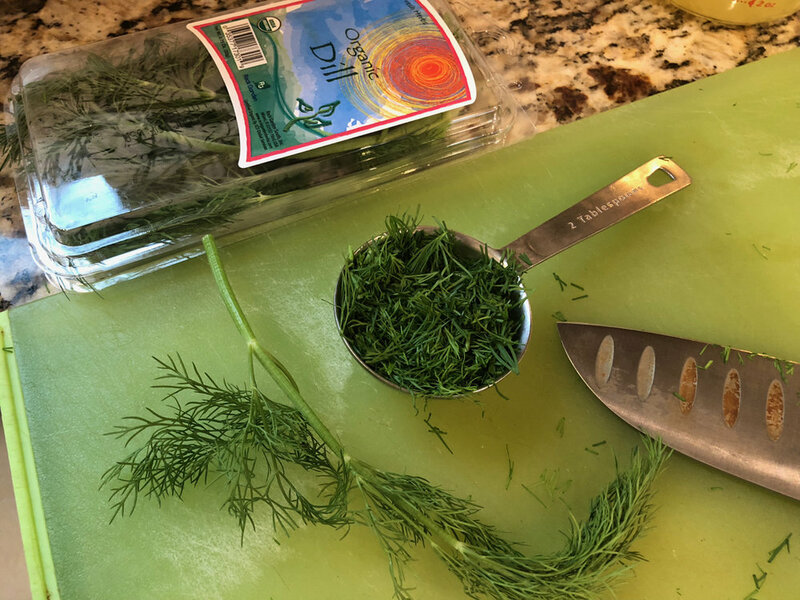 I had not bought dill before this recipe but the one I found at Publix has been great in that it stays fresh for a couple weeks in the fridge, so I can usually make this recipe at least twice from a single purchase of dill. And in case you want to know about the roasted kale, it's so simple: Buy bagged kale from Aldi. Destem half the bag of kale and chop or tear into bite-size pieces. Add a small amount of olive oil and a few sprinkles of kosher salt. Briefly massage oil into kale by hand. Spread on a Silpat or baking sheet. Roast in a 400 degree oven for 6-8 minutes, being careful not to burn. Then eat a whole plate and feel great! 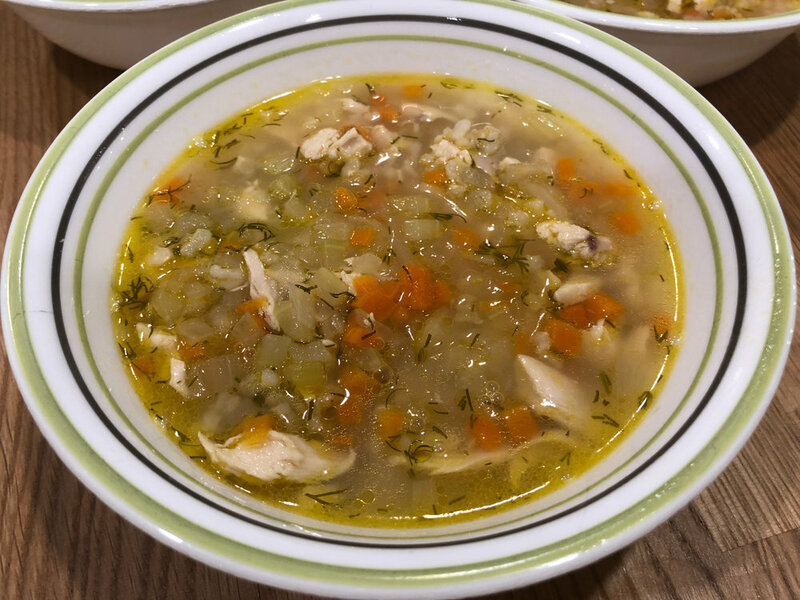 Here's the PDF to view and print: Lemon Dill Soup.